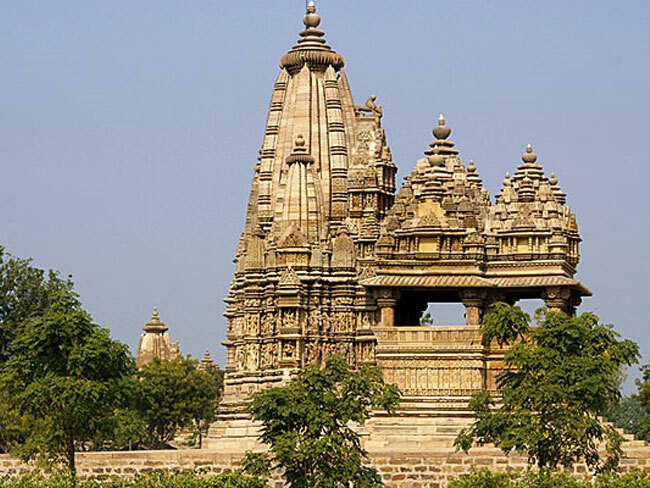 Khajuraho is the big name in Indian history popular for having great monuments. 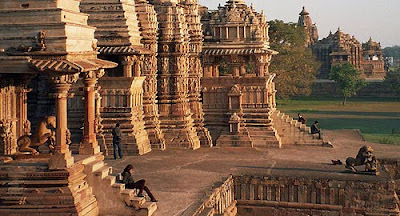 Khajuraho is the small town of Madhya Pradesh, India situated in Chhatarpur region. The good distance of 620 kms from New Delhi allow visitors to reach the destination in 8 to 9 hours train journey. Khajuraho is turned as biggest Indian tourist place particularly for those who are keen to learn about the Indian history. The huge group of temples of medieval Hindu and Jain are special at this spot also the amazing sculptures of shrines attract the travelers throughout the world. 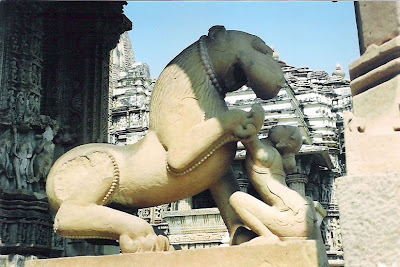 Khajuraho name comes from the ancient Sanskrit word Kharjuravahaka which means place which bears the date palm. In late 19th era the British Engineer Mr. T.S. Burt attain to this area and placed as most beautiful tourist place of India. With the support of General Cunningham he put the Khajuraho town on the map of world. 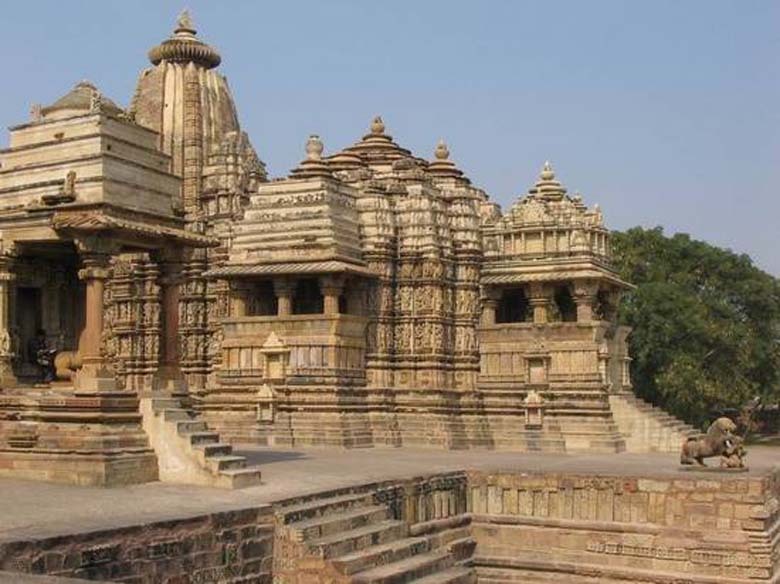 He explored the locations of Khajuraho to the world by describing them through archaeological analysis of India. 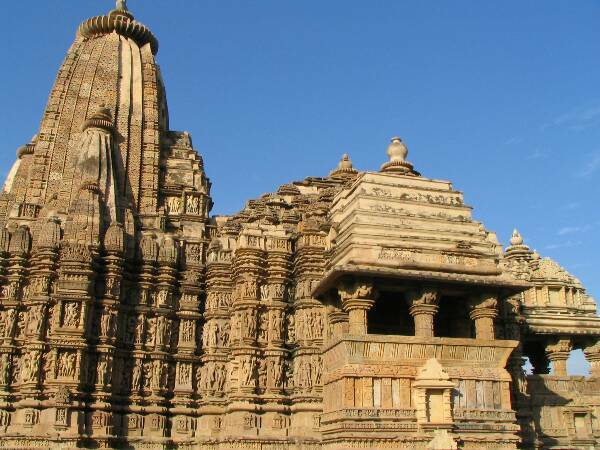 Today the splendid monuments of Khajuraho are listed in UNESCO World Heritage Site. The Khajuraho is added to the seven wonder list of India. As per Indian census of 2001 the average population of Khajuraho was 19,282 where the male ratio was 52% and female ratio was 48%. The literacy rate of the city in 2001 was around 53% which is really low comparing to national average level of 59.5%. Khajuraho Airport permits travelers to reach the destination easily. Khajuraho railway station is also linked with major cities of the country. Few Rajputs of India moved from east direction to central part of the India. Rajput rulers ruled the north east district of Rajasthan State known as Dhundhar. Majorly temples are constructed by Rajputs in Khajuraho. Kalinjar fort is also constructed by the Bargujars. They also constructed the Neelkanth Mahadev (Lord Shiva) temple. 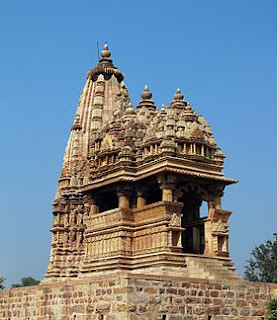 However, the structure is almost like Shiva temple of SNP (Sariska National Park), Baroli. Khajuraho was the well-known cultural center of Chandel Rajputs. The city was grown with some marvelous structural construction during the Chandel Rajput ruling period in 10 to 12th centuries. Temples of Khajuraho are around 200 years old, though the temples are still stronger comparing to other monuments of India. Sightseeing in Khajuraho: countless historical spots are accessible in Khajuraho and some of them are mentioned below. Ajaigarh Fort: positioned at the outer part of city town is known as Ajaigarh Fort. 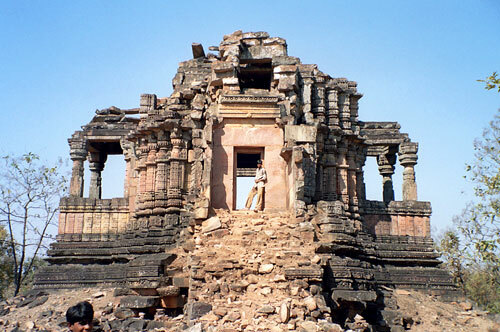 This is the fort shows the structural talents of the rulers of Chandela. This fort is positioned at 1111 meters altitude on the flat surface. Kalinjar Fort: another magnificent fort of Khajuraho is available for travelers. The countless temples within the fort express the creative thoughts of rulers of the Chandela Empire. The reason for building the fort was to defend the place from external attacks. Constructed on the top of hill this fort is listed in Hindu scriptures as well. Adinath Temple: next location for travelers is Adinath temple which is most beautifully decorated with stunning sculptures. This shrine is devoted to the saint of Jain religion Shri Adinath. Experts say the temple was built in 11th century. Chitragupta Temple: another spot is the very old shrine of Lord Surya known as Chitragupta Temple. This 11th century temple is having imposing 5 feet idol of God Surya. However, the idol is in standing position with 7 horses. Devi Jagadamba Temple: temple of Devi Jagadambi is next spot for visitors popular for stunning and strongly carved figures on the wall of temple. The premium figurines at Devi Jagadamba should not be missed by the visitors. Loads of images of the Universe goddess in this shrine are special. Dulhadev Temple: this shrine of Khajuraho is Dulhadev temple located on the south side of Ghantai shrine. Dulhadev temple was constructed in 1130 AD with classical example of art Chandela. Lord Shiva idol is situated in this temple in which travelers have to cross 5 chambers. 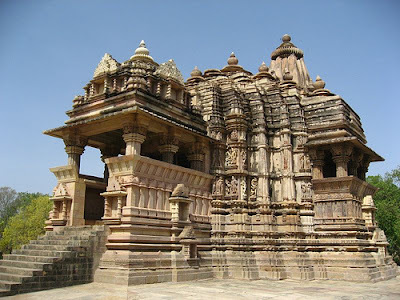 Javari Temple: famous Hindu holy place such as Javari Temple is situated at Khajuraho. Lord Vishnu is available there to accomplish the wish of devotes. Some more temples of Khajuraho are Kandariya Mahadev Temple, Lakshman Temple, Lakshmi Temple, Matangesvara Temple, Parsvanath Temple, Vaman Temple and Viswanath Temple. The parks and museum in Khajuraho are also special destinations for visitors. By Air: domestic airport of Khajuraho is properly linked to countless cities of India such as Delhi, Varanasi, Mumbai, Bhopal, Allahabad, Indore and many more. Mumbai and Delhi are two big major hubs for international flights. By Bus: the clean roads of Khajuraho permit visitors to journey through road. Public as well as private buses are available at transport medium to reach Khajuraho. AC Deluxe and Non AC normal buses are also available for Khajuraho. Direct bus from Jhansi (only 177 km away) and Delhi (only 594 km away) are also good options. By Train: closest railhead is Mahoba situated only 77 kms away from Khajuraho. Harpalpur is one bigger railway station close to Khajuraho. Distance between Khajuraho and Harpalpur is only 90 kms. Travelers can have pre-paid taxi available at station, though the average cost for each taxi could be Rs 1,200 or above.